This design is optimized for readability on a printed page by ordinary patients. 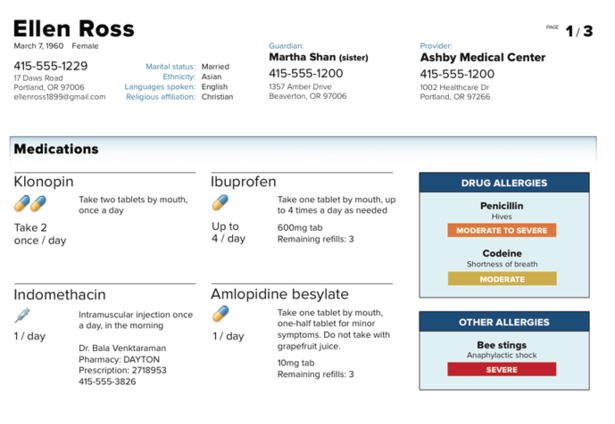 Allergies and current meds are called out, per the request of nurses known to the designer. The spec and sample data were followed carefully, and the design should convert to HTML/CSS with little trouble.